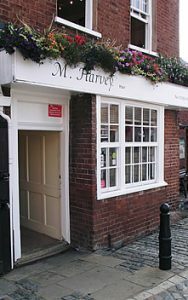 M Harvey Hair is conveniently located on the historic Exeter city Quay. This a ten minute walk away from the hustle and bustle of the city in a delightful area of interesting historic buildings, shops and cafes. 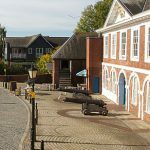 Walking: The salon is located on the Quay on the Exeter side of the river next to the Customs House. This is at the bottom of the hill when approaching on foot from the city centre. Parking: The easiest parking is on Level 3 of the Cathedral & Quay Car Park. From here it is a two minute walk down the hill to the salon.